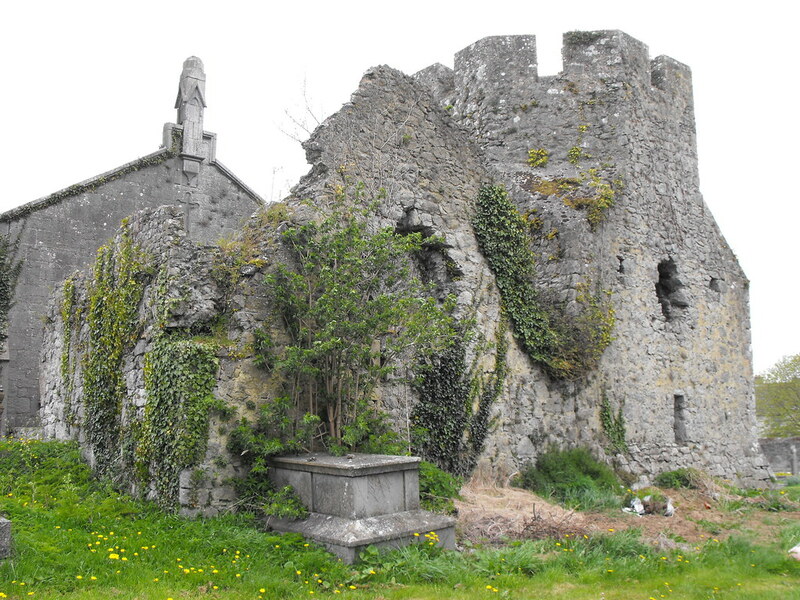 The Standing Stone: Askeaton Church, Co. Limerick. 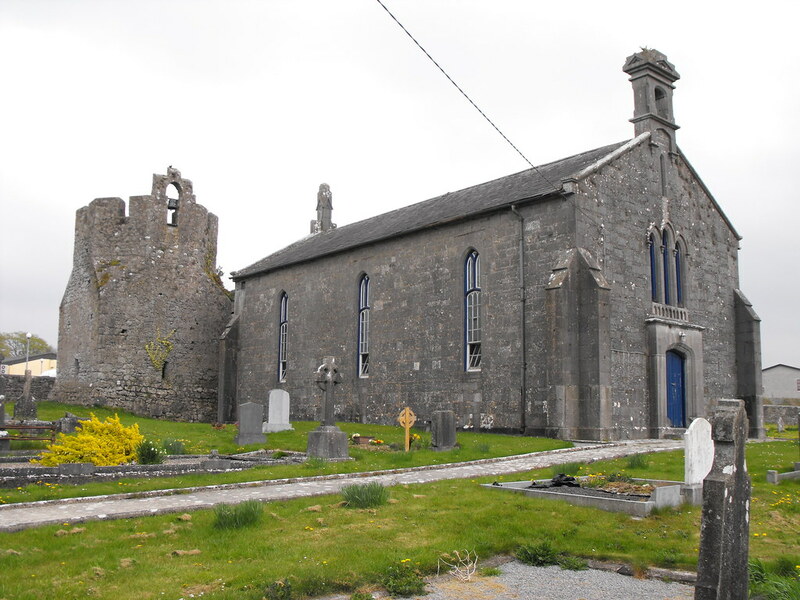 Location – On the N69 just you enter Askeaton. 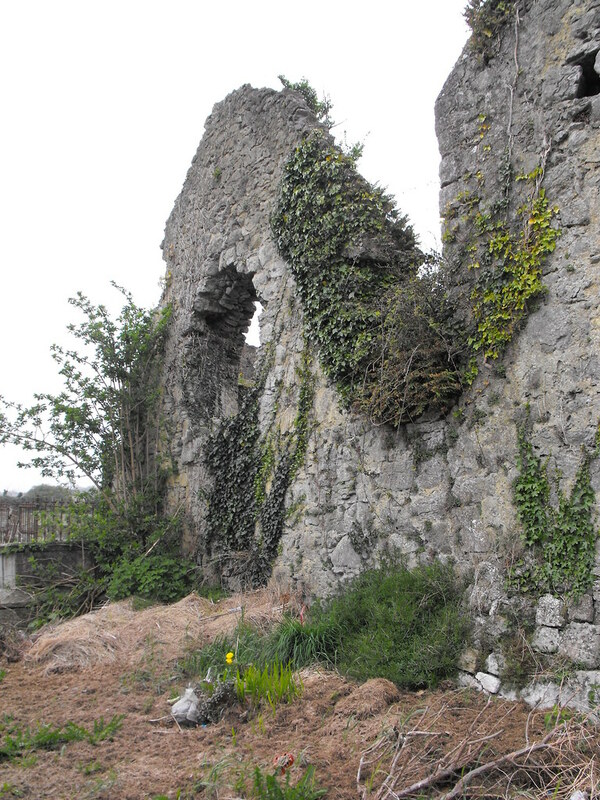 The ruins are located to the rear of St Mary’s Church of Ireland church. 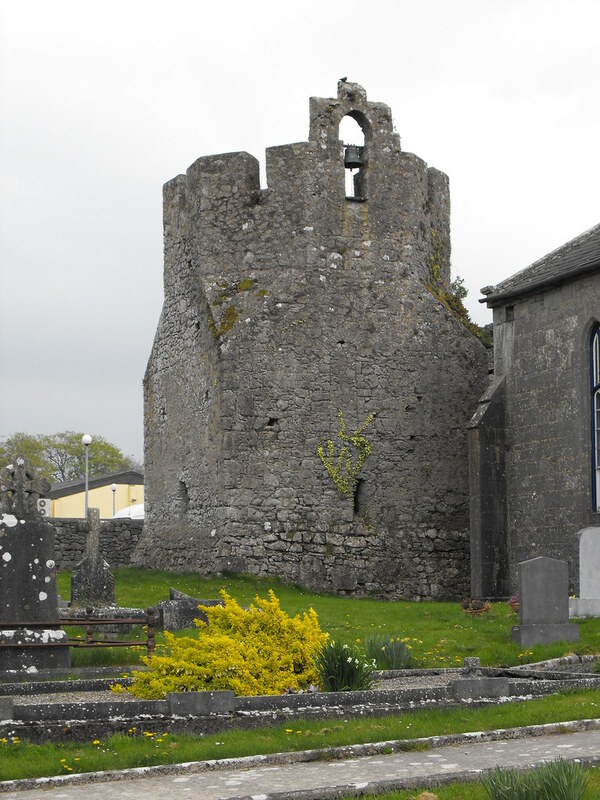 Description and History – Little is known about this church apart from that it was founded by the Knights Templar in 1298. 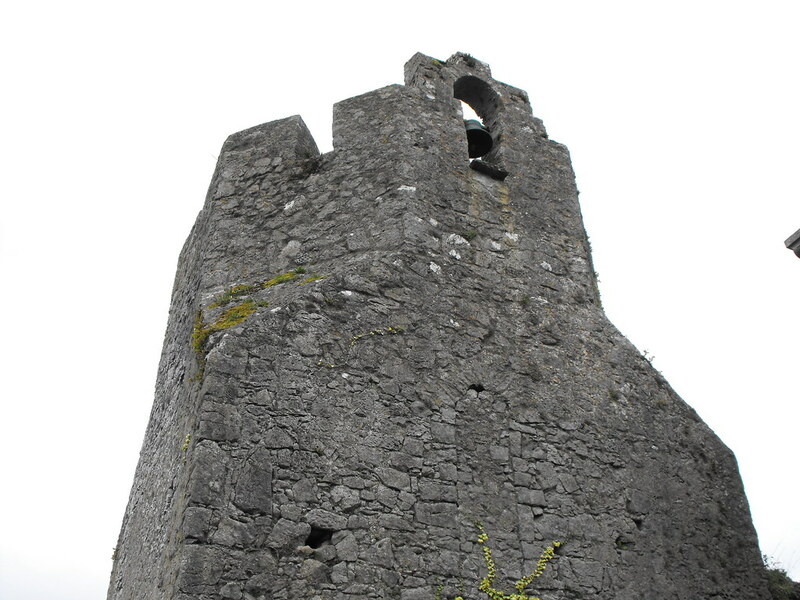 It is very unusual in that the bottom of the bell tower is square and the top is octagonal which is something that is common in Norman architecture. 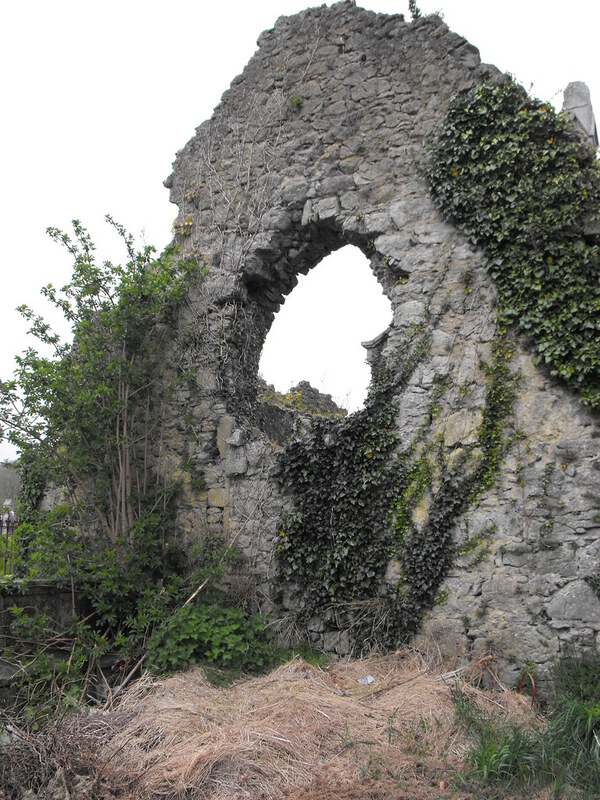 The adjoining church is very ruined and only one window remains in the gable end. The tower is roughly 6m in height with a base batter and crenallation at the top. The church is roughly 4m in height. 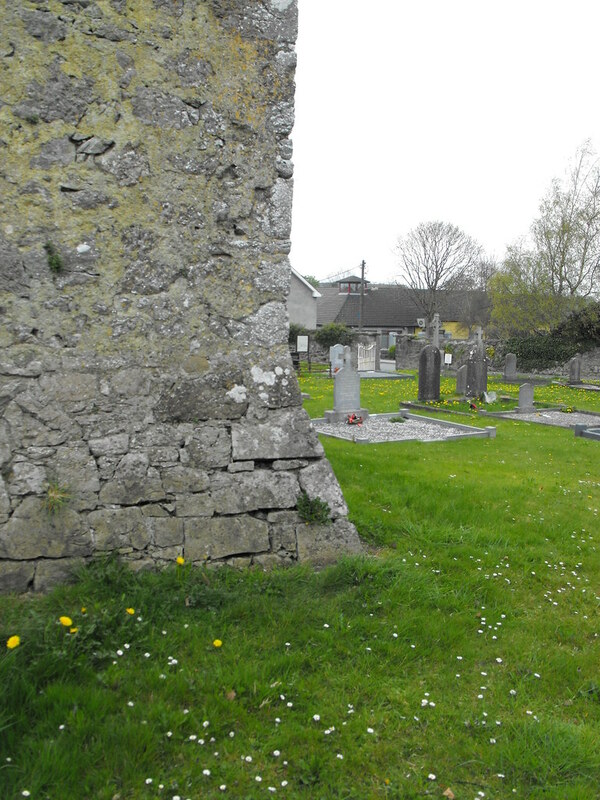 The church is butted up against the modern church which was built in 1827. 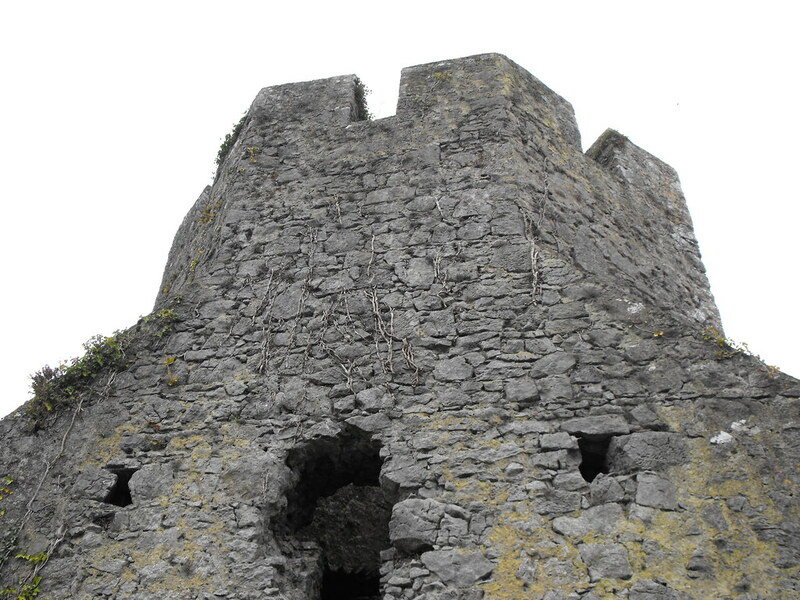 This is an interesting little site, particularly the tower. Difficulty – Easy to find and easy to access. Here you can really see the change in shape between the square and octagonal. 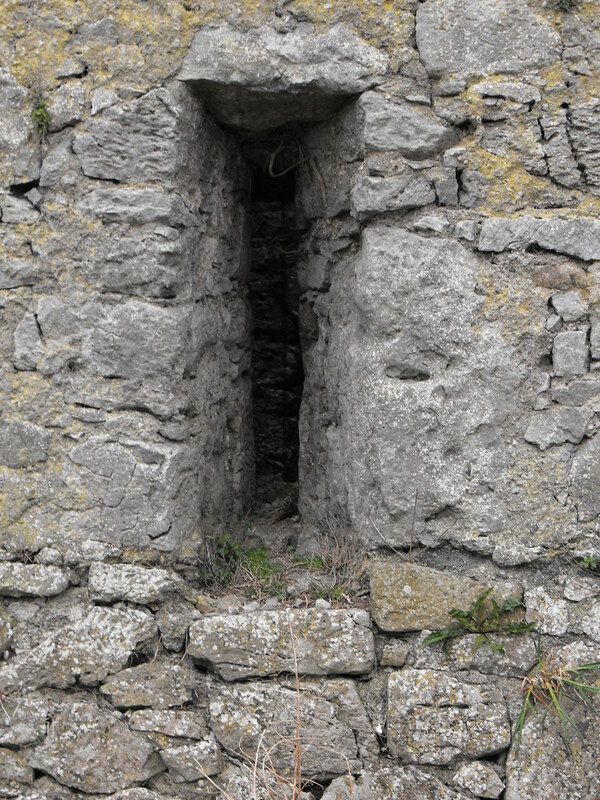 The gable end with the broken out window. Small arrow loop on the tower. The base batter on the tower.